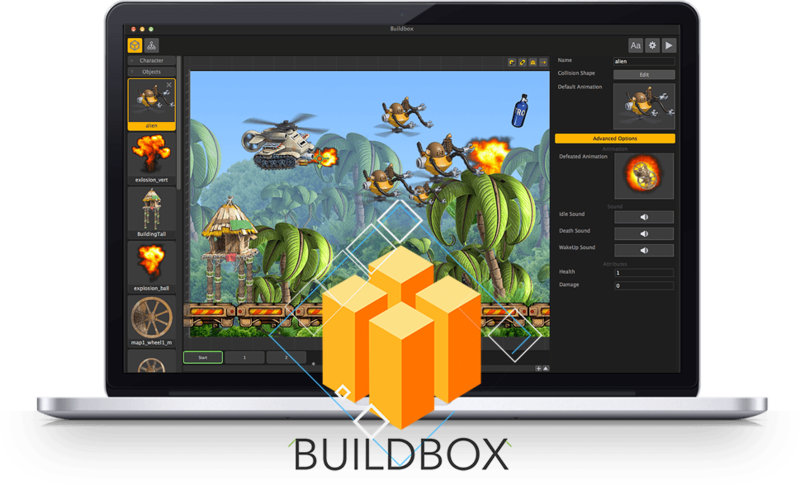 Buildbox is the world’s first software that truly allows anyone to create amazing games regardless of technical skill. Due to its unique user interface, making games becomes a fluid process that doesn’t require any scripting, programming, or software-design experience. Creating games is as easy as dropping images into the software, making changes to their properties, and hitting play. Every tool you need to complete your game is included inside Buildbox. You have access to complete management of your assets, integrated level editor, game-menu system, advanced ad and in-app purchase solution, font editor, gameplay settings, and more. Anyone Can Create Games – For the first time, anyone can make games without having a technical bone in their body. Buildbox lets you make games as easy as a powerpoint presentation. Build New Gameplay Types – Using Buildbox’s infinity engine you can control real world physics and gameplay by moving sliders. Make classic game styles like platformers or build something totally unique. Special Effects and Power-Ups – Quickly create cool indie effects with lighting and trails. Easily add a multitude of power-ups to your game like invincibility, coin magnets, kill all enemies and more. Build Once, Play Anywhere – Once you finish your game, instantly export it to over a dozen different platforms. Have your game on dozens of app stores, on Mac, Windows, iPhone, iPad, Android, Amazon Fire Phone, Amazon TV, OUYA and more.